The Doc takes a look at the twinshock scene and what is available today to be competitive and the pitfalls .. 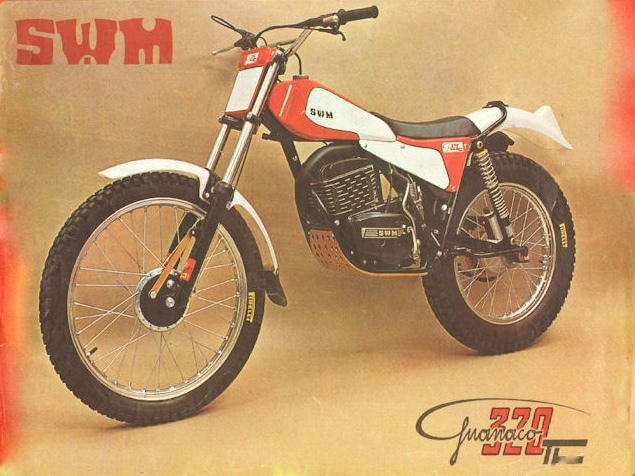 The question “what is the best twin-shock” is often asked by newcomers many of whom have no first-hand knowledge of competing on these bikes when they were new. This guide provides accurate information on all of the more popular twin-shock bikes here in the UK. You will find a basic outline of each bike and in some cases details of the more common problem areas. It is worth remembering though that unless you are a very good rider indeed that opting for a less competitive bike, will make it much more difficult to get good results in harder twin-shock events. Bikes covered are all assumed to be in standard form and are rated out of 10. The TLR 200 and 250 are far more popular today than back in the 1980s, and prices of both are pretty high, with properly modified versions costing even more! 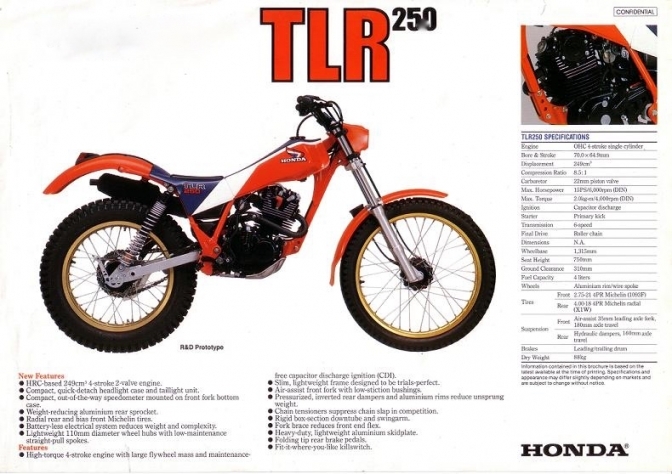 With regular oil changes the TLR is extremely reliable and parts availability is reasonably good, with many things still being listed by Honda. Steering on these bikes isn’t particularly good though and a 200 in standard form doesn’t have an awful lot of power. A very common problem on both 200 and 250 is a worn cam bearing journal in the head, generally caused by oil not being changed. A TLR motor should be mechanically very quiet and a motor which is noisy may well have top end problems. Overall the TLR’s in standard form are certainly overrated, but are bikes which can be improved significantly with sensible modifications. In stock form they are a good bike for not particularly competitive club level riders, in modified form they are far better and really the only sensible choice for anyone wanting a 4T twin-shock! 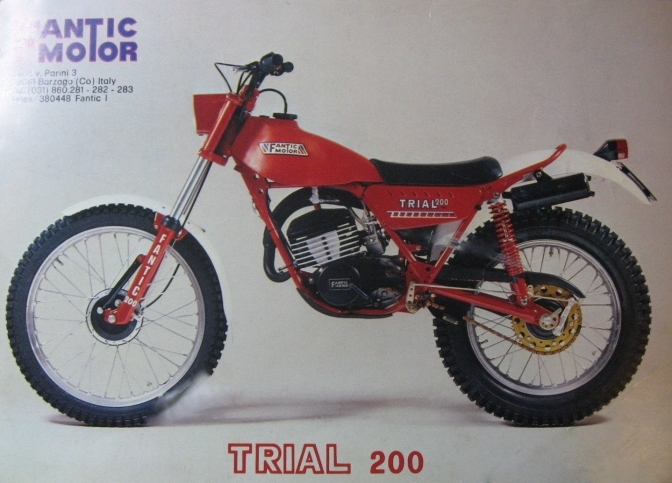 Perhaps the most underrated bike available, whose potential as a serious trials bike never seems to have been fully recognised, perhaps due to the numerous “upgrades” carried out over the years, which have not addressed things as basic as the very restrictive intake and induction systems fitted on the 175? 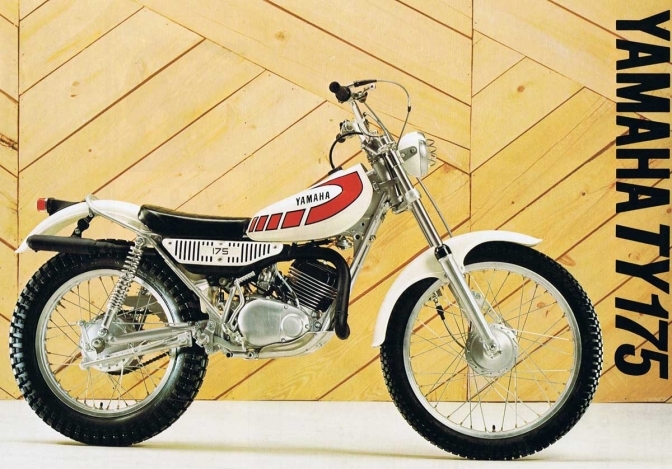 In standard form like the TLR Honda’s the 175 certainly isn’t going to set the world alight, without a great deal of power and suspension and steering both firmly rooted back in the 1970s when the bikes were designed. If the 175 is properly modified though it becomes a completely different bike and is one of the very best machines out there. Big plus points are reliability and probably the most easily available and inexpensive parts of any of the popular twin-shock bikes! Another plus is that this is a bike which can still be found for reasonable money, although sadly those wanting to make a quick profit on Ebay from tarting up old dogs seem to have cottoned on to the 175 now and some wrecks are appearing with very high price tags! The 175 and 250 are like chalk and cheese and while a properly modified 175 is going to work very well indeed in modern day twin-shock competition the 250 is a much bigger and bulkier machine and is never going to work as well as the 175 in modern conditions. 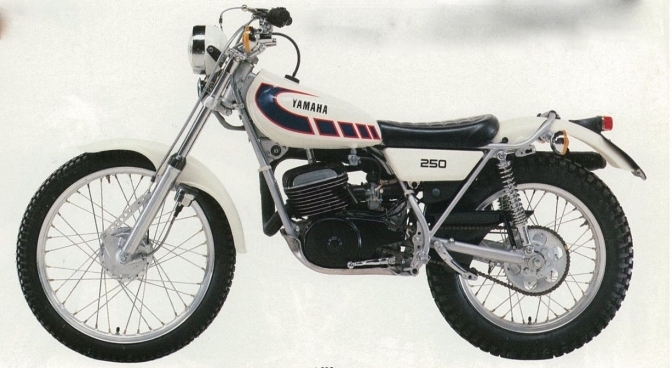 However, in common with the 175 the 250 is very reliable and has good parts availability. Magnesium engine side casings do corrode badly though and are difficult/impossible to repair properly. Fitting earlier slightly heavier casings from a TY250A can provide a fix though, but these are obviously not that easy to find nowadays. Very restrictive intake and exhaust systems also affect the 250 and are probably the first things that need to be looked at by anyone interested in improving a 250? 320cc conversions popular back in the day don’t work that well and any bike with one of these fitted should probably be avoided. The RL Suzuki on paper back in the 80s looked a very desirable machine, with a quality British made chrome plated chassis and a tried and tested Suzuki motor. Unfortunately, a short test ride told a completely different story, with steering closer to an authentic P65 machine and lack lustre performance from a motor which could have been very good but wasn’t! Reliability is something the RL has in its favour though and as these are bikes which aren’t particularly desirable and good examples can sometimes be found for quite reasonable money. These are perhaps of more interest to less competitive riders who want a reliable machine without spending Fantic or TLR money? Another machine which in the 70s on paper had considerable potential, but again it only took a short ride on one to work out that wasn’t the case! Back in the day Don Smith had a few wins on the factory bikes he was riding at the time, but other than a colour scheme very close to the over the counter offerings, the factory ones were significantly different to what was on sale. Today the KT250 is perhaps more a collector’s item than something for use in serious competition, but a few remain in regular use and appear to be bulletproof and likely to keep running for many years to come! The Gollner derivatives of the KT weren’t quite as bad as the stockers and should work far better with a few of the modifications carried out by B&J Racing in the US? 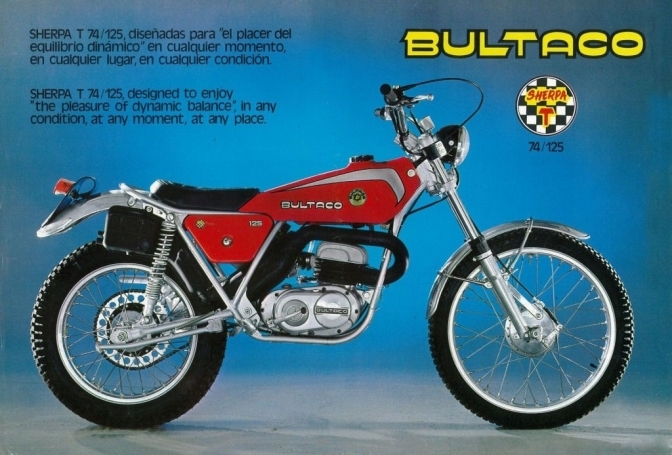 If you are interested in a Spanish bike Bultaco is probably the best choice as parts availability is significantly better than Montesa and Ossa, but quality of some recently made parts is questionable. Here in the UK though there are no specific classes for Spanish bikes (unless you fancy your chances against super trick TY175s in the Kia “Spanish” class!) so Bultaco is perhaps more suited to less competitive club level riders or those wanting a cheap project bike? The last Bultaco produced, the 340 had a 6 speed gearbox and these can be problematic and parts to repair are very difficult to find. Brake drum friction surface on all but very early bikes are chrome plating directly on the alloy hub. Needless to say these wear out pretty quickly, but can be repaired by fitting steel liners, which works well but is quite costly. In common with all the other Spanish bikes modifications to make the motors more responsive and alterations to improve the steering and handling improve a Bultaco very noticeably. These are things which seem to be very popular in Spain where classes for Spanish made bikes are very well supported, with riders prepared to pay £10k+ for a fully modified top spec machine! For anyone looking at Bultaco a 5 speed 250 which has had brake drums sorted, is in good order and which runs and rides well is probably a better bet than a project or a late 6 speed 340. Projects can be found for not much money, but its worth bearing in mind that this type of thing will invariably end up costing more than buying something in good condition which is ready to ride. 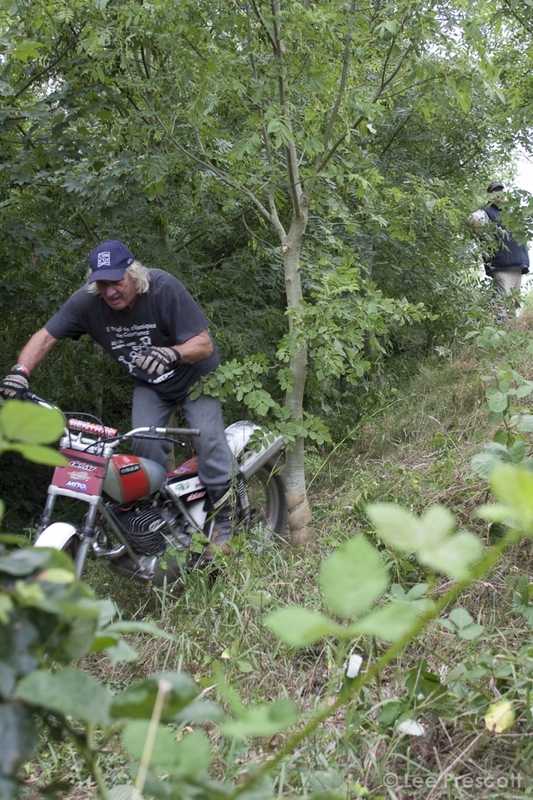 Parts which are very difficult to find is something that needs very careful thought before buying a Montesa. 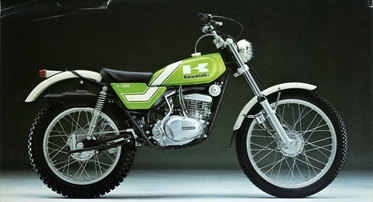 The Montesa time line started with the 247cc machines and culminated with the MH (Montesa/Honda) badged 349’s. Again, in the UK no classes for Spanish bikes so they are perhaps best suited to less competitive riders. 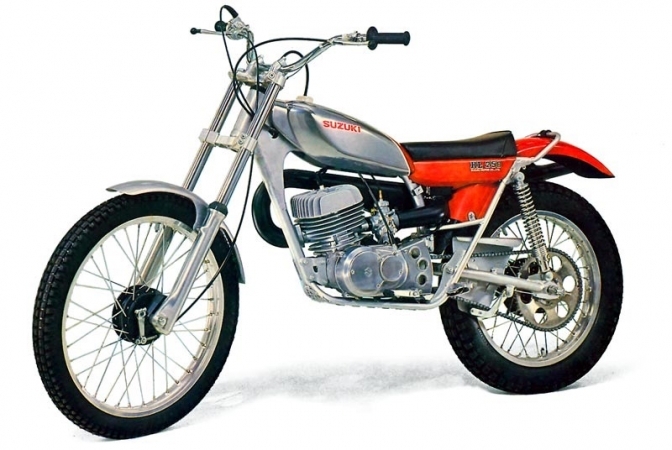 Montesa seem to be reasonably durable and don’t have the Achilles heel of chrome plated brake drums suffered by Bultaco, but can be difficult to repair if work is needed due to lack of parts. The Montesa motors based on the 125 (172, 200, 242) have a very weak kickstart mechanism and unless you are happy to bump start the bike or know of a source of parts, they should be avoided. No twin-shock Montesa (without extensive/expensive modifications) is ever going to be particularly competitive in modern day events, so its best to buy on condition alone, as an early 247 in very good order is going to be a much better buy than a late 349 in tatty condition needing lots of work. Parts for Ossa are even harder to find than those for Montesa and again if you intend to ride regularly this is something that must be taken on board before buying a bike. The early white/green Ossa MAR (Mick Andrews Replica) was a striking looking machine and certainly stood out from the sea of predominately red Bultaco’s and Montesa’s around at the same time! However, in many cases years of neglect and very hard to find parts means any purchase must be treated very cautiously indeed. 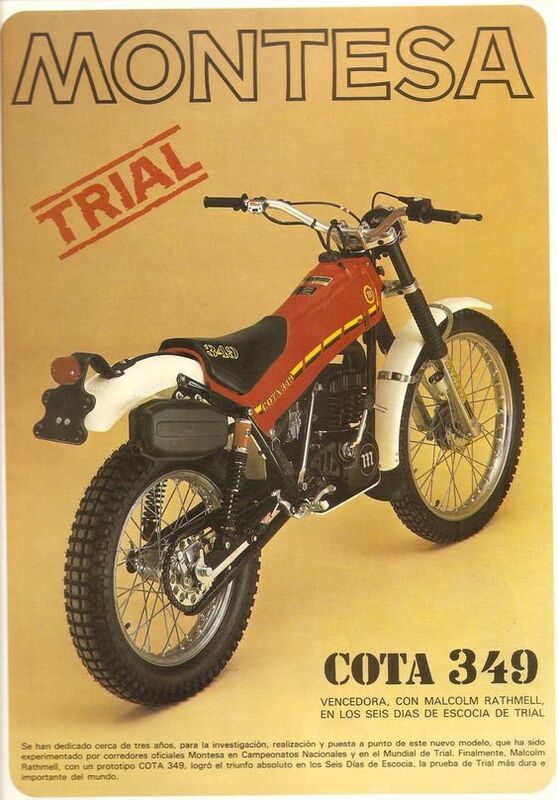 A good choice for someone who dares to be different certainly, but poor brakes, unreliable ignition and lack of parts means its probably not a great idea to choose Ossa over Bultaco or Montesa if you are wanting a Spanish bike? 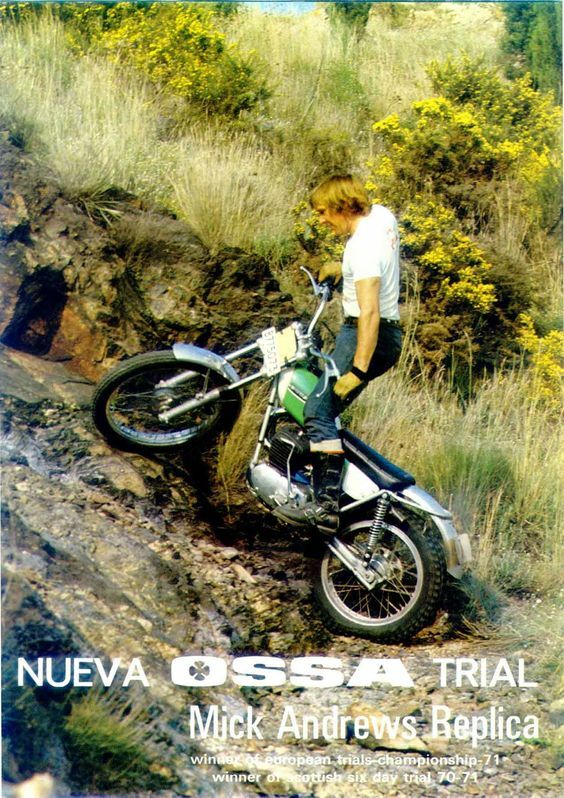 In common with Montesa buy on condition rather than specific model, but bear in mind that the last Ossa model the “Gripper” was never regarded highly and is perhaps best avoided? SWM and Moto Gori are other than sticker changes exactly the same bike, Aprilia chassis and plastic are different to SWM but motor is the same Rotax unit with only very minor differences. These are bikes with a great deal of potential but which is probably never likely to be realised as no one seems particularly interested in putting the time and money into developing them properly? Handling/steering are closer to a Spanish bike than the most competitive twin-shock machines, but can be improved relatively easily. Badly clogged exhausts are very common, as are kickstart shaft and kickstart problems and this is quite costly to rectify. Parts availability for these bikes is good and for anyone not wanting to spend Fantic or Honda type money, they are a very good choice, even more so for anyone able to carry out alterations to make the bikes work better in modern day competition. The humble 200 (156cc) is in standard form currently the most competitive twin-shock bike available by quite a long way! In 1978 Fantic won the manufacturers team prize in the SSDT, using the 125, this being introduced before the slightly larger capacity 156cc bikes. Steering geometry on the 125/200 (rear kick) is just about perfect for modern day competition and lowering the rests is really the only change that is needed. Problems are related more to neglect and bodged DIY “repairs” rather than any inherent faults (there aren’t any!). However, a badly neglected 200 is very often pretty nasty and can be expensive to rectify. The difference between a good one and a bad bike is very great, so we would suggest trying to get a test ride on a good one before making any decisions related to buying a 200. A 240 is also very good, but steering geometry is suspect and this needs to be modified for use in serious modern-day competition. Not as user friendly to ride as the 200 and wheel grip isn’t as good as the smaller bike. Again, neglect and DIY repairs are far more likely to be the cause of problems than any inherent faults, but kick-start spur gear on the back of the clutch drum does wear badly and if the primary drive is particularly noisy this may well be the cause. Avoid bikes which have had lower frame rails removed as this significantly reduces the strength of the frame. Frames often rock damage on the lower rails and this is one reason for removing them and fitting an alloy bash plate. The 300 is much closer to the feel of an SWM than the deft and agile feeling 200 and as such is probably not the best Fantic to opt for if you are looking for something which is going to be wholly effective in modern-day competition? Plus points are bulletproof reliability and very good brakes, not so good are motors that seem very prone to detonation and very crude damper system on some front forks. If you are interested in Fantic then try and get some test rides on the various bikes and NEVER EVER buy a bike on the strength of photos as this might well end up being a very costly mistake! For anyone wanting to compete in club events who rides purely for enjoyment and is not wanting to compete in the seriously difficult UK national championship series, reliability and easy to find parts are more important than having a cutting-edge competitive machine. Either of the TY Yamaha’s are suitable as is a TLR200, and bearing in mind that the TY175 and TLR200 can both be improved a great deal, these are not simply club level machines but can be significantly improved as time goes on and riders become more able. SWM is another good choice for club level competitors and like the Japanese bikes is a machine which can be made to work far more effectively. However little development work has taken place on these bikes, so anyone wanting to improve one would be largely on their own. Better riders wanting to compete in the very hardest events here in the UK needs a machine with deft, precise handling, good suspension/brakes and most importantly of all a very responsive motor that has instant throttle response. When machines in standard form are being considered the 200 rear kick Fantic is the only bike that ticks all those boxes. The Spanish bikes mentioned here all have issues with parts (availability and quality) but can be enjoyable to ride, although few UK events have specific classes for these bikes and they are not ideally suited to the very tightly marked sections which have become the rule rather than the exception nowadays. Machines such as RL Suzuki and KT Kawasaki are both extremely reliable, but like the Spanish bikes don’t work that great in very tight modern sections and have that cumbersome top-heavy feel that seems to affect most 70s bikes. The RL though is something which can sometimes be found for a reasonable price, but it seems as though most are quickly snapped up by collectors nowadays which means higher prices and less bikes for sale. At the end of the day though which bike to choose is really and truly a matter of personal choice, but hopefully having a quick read through this guide will help anyone interested in twin-shock competition to avoid some of the more fanciful buying advice provided on the forums, most of it seeming to originate from proud owners of the machine being recommended!